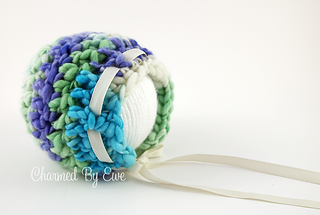 The Thick and Thin Bonnet is a delightfully sweet design that includes super bulky yarn, resulting in a bonnet that’s incredibly soft and colorful. 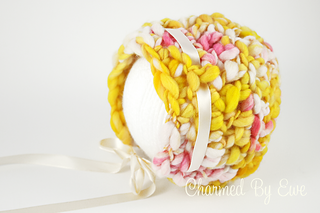 Consider using yarn in pink, blue, green, or yellow to create a crochet baby bonnet that will be proudly passed down for generations. This crochet pattern is also easy to make, so you could create this beautiful baby bonnet within an afternoon if you’re pressed for time. Size: Newborn (13” head circumference).